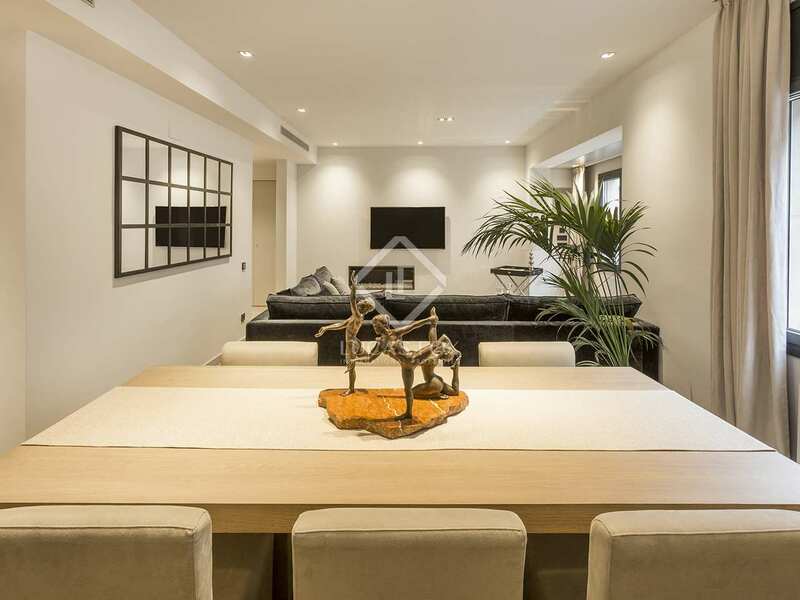 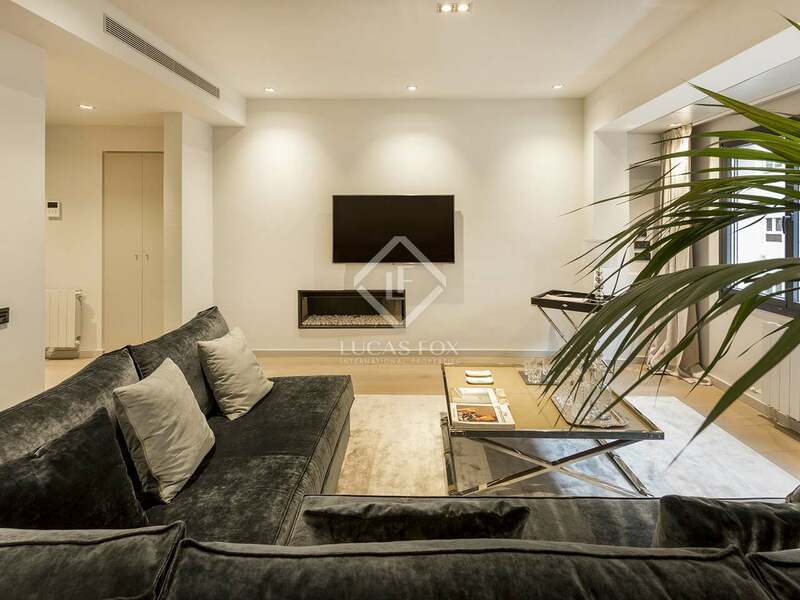 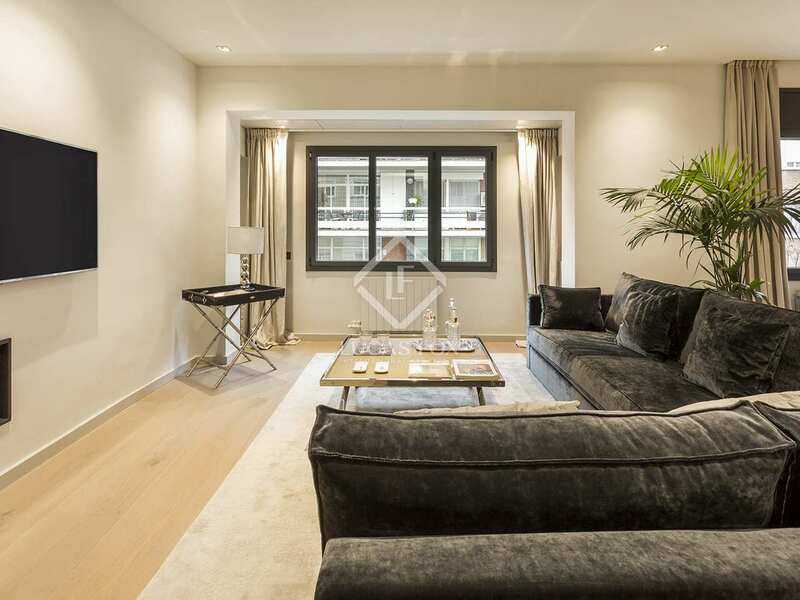 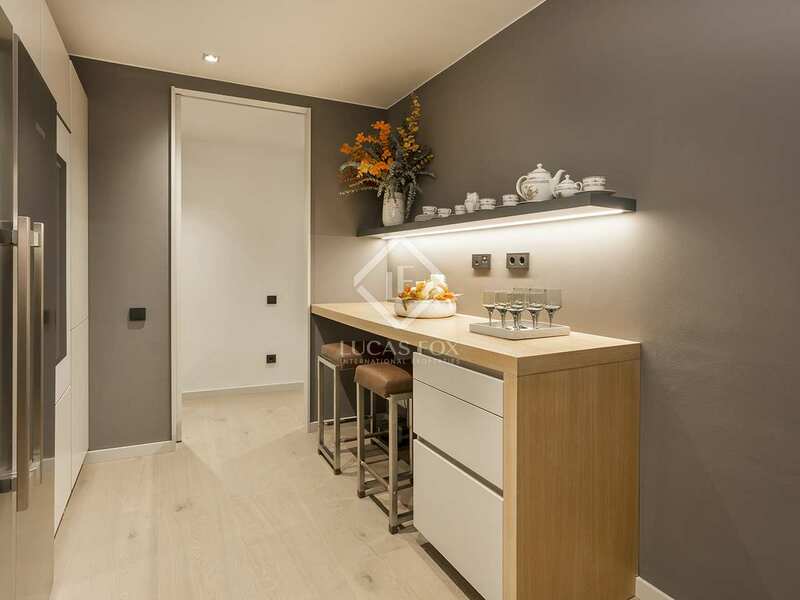 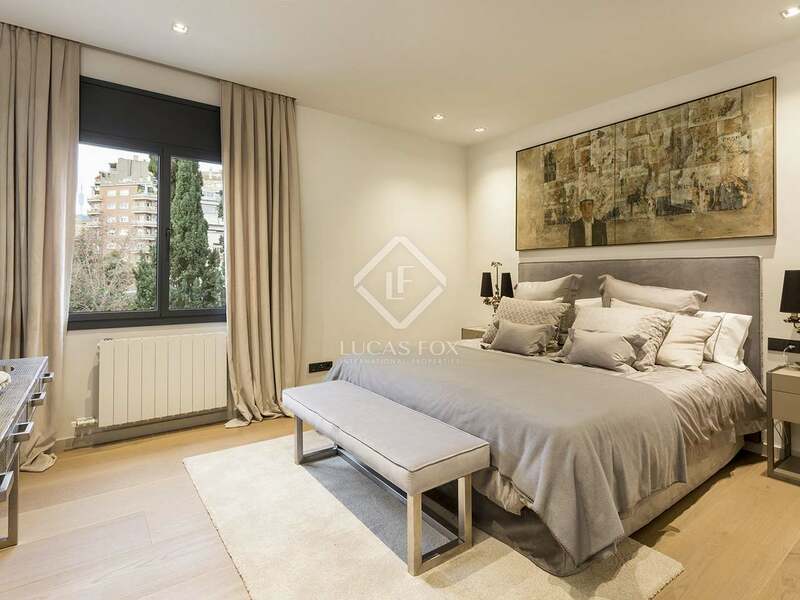 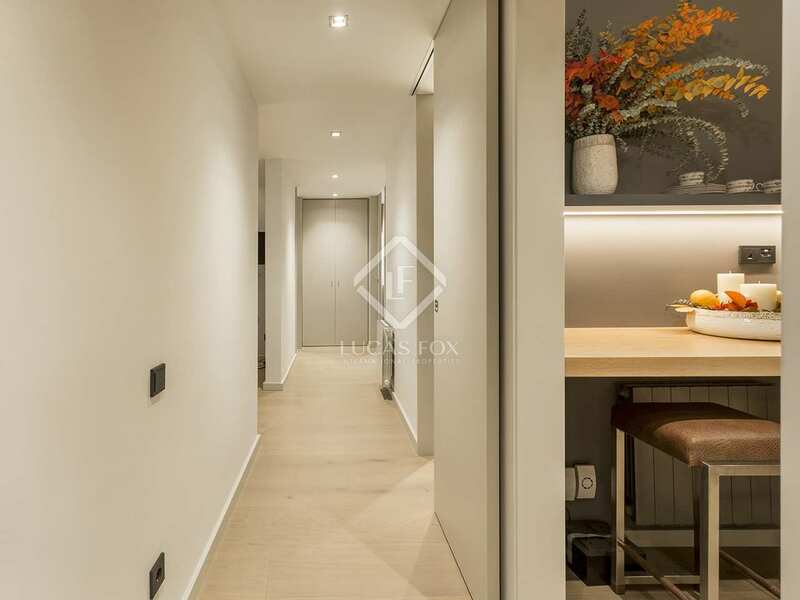 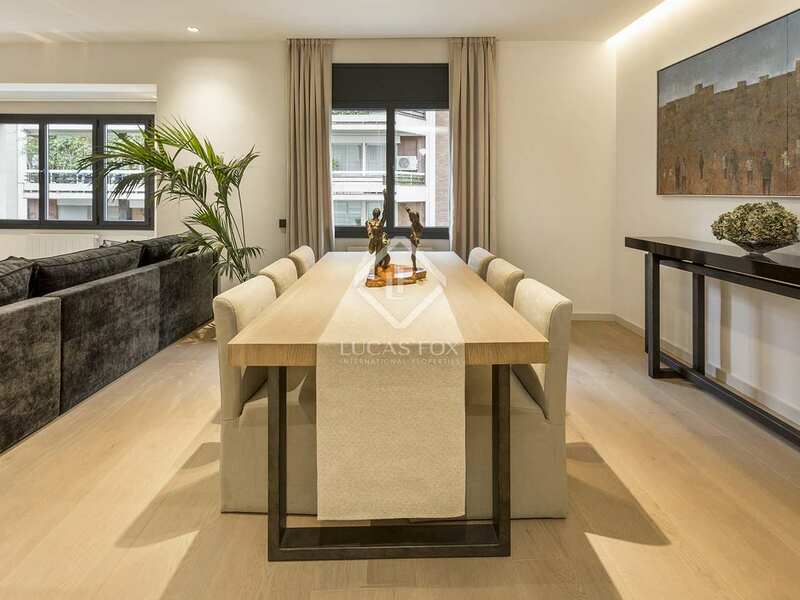 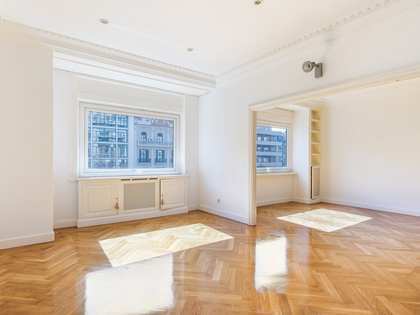 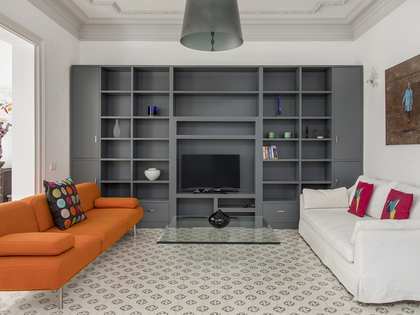 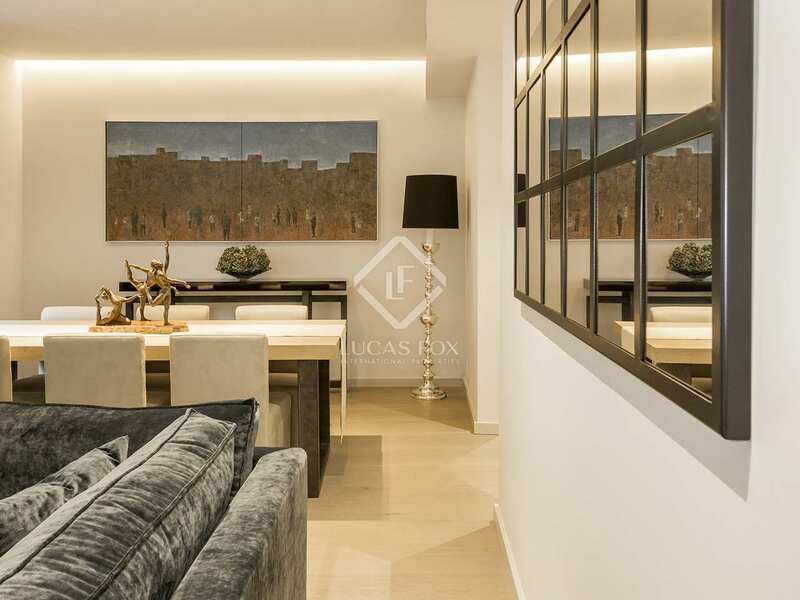 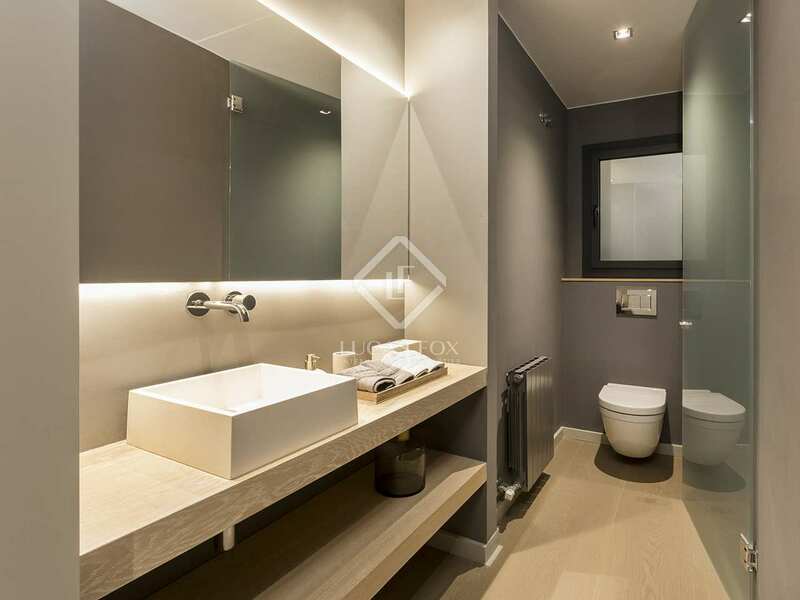 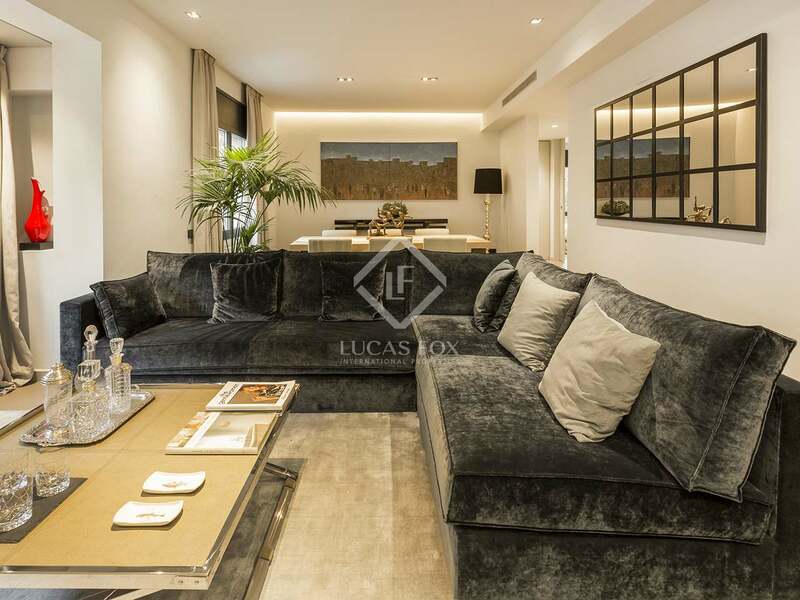 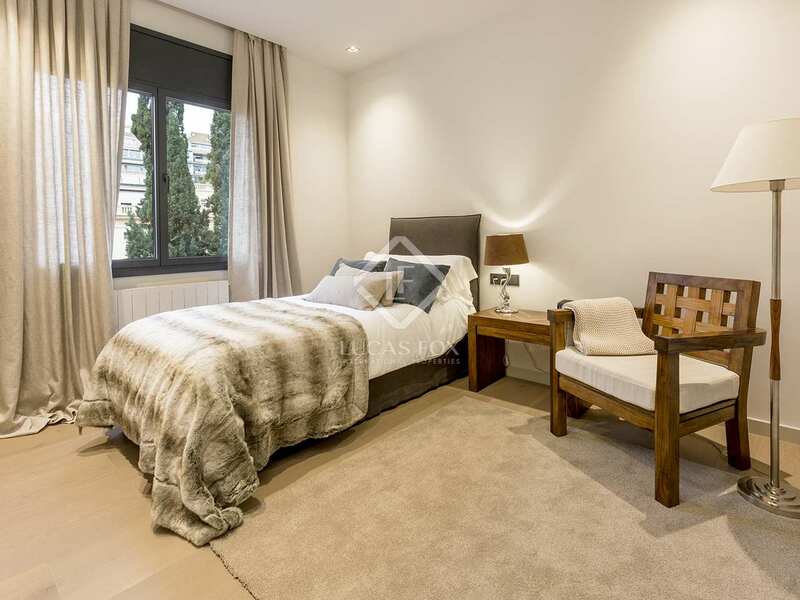 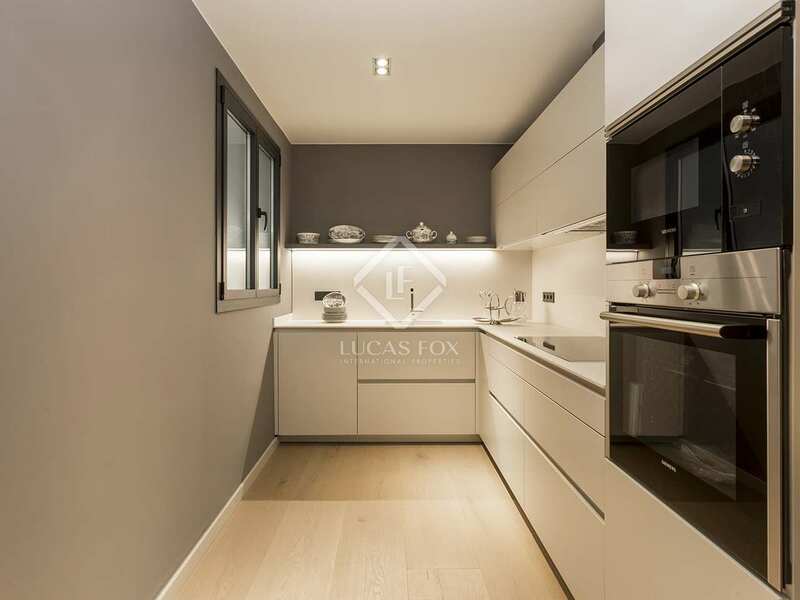 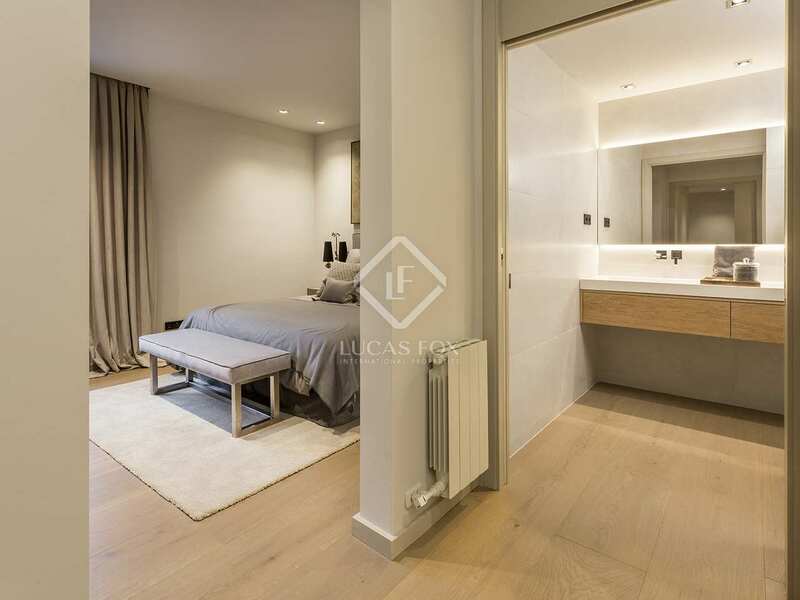 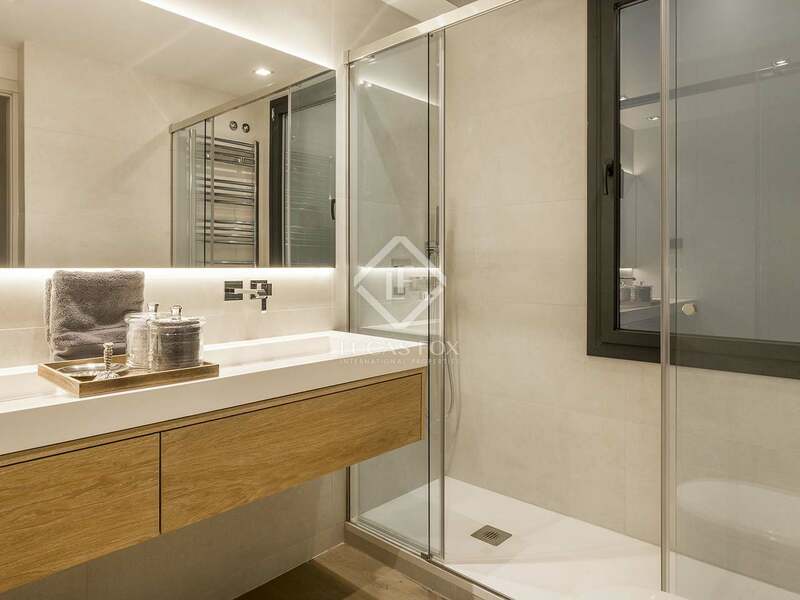 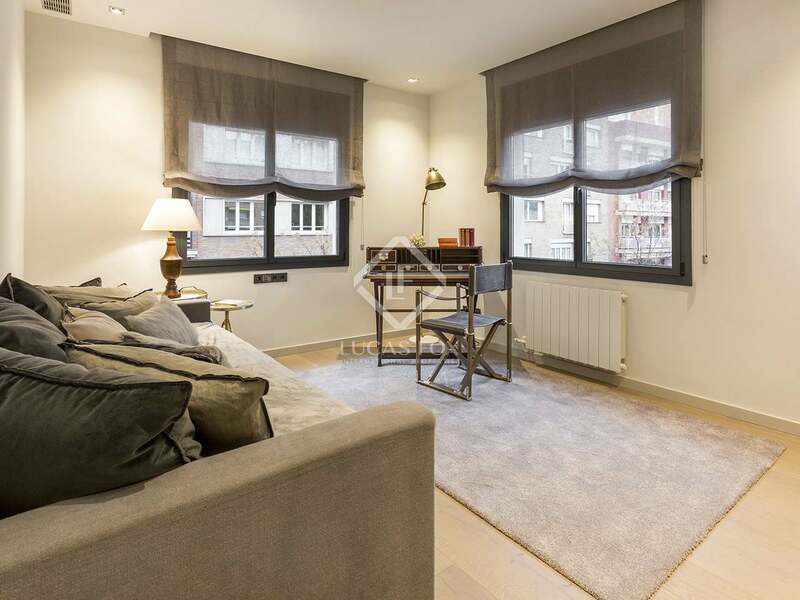 This excellent 3-bedroom apartment is located on the main floor of a newly renovated building on Carrer Calvet, in the sought-after neighbourhood of Sarrià-Sant Gervasi. 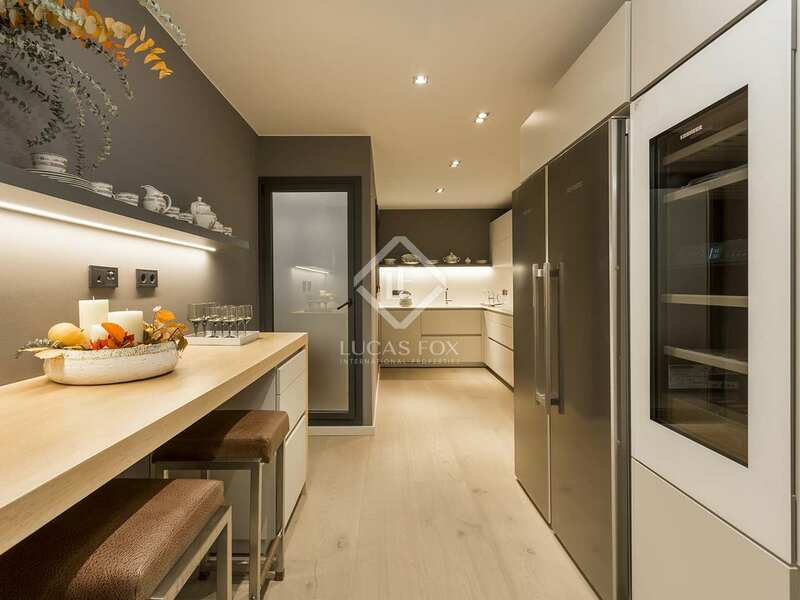 This brand new home of 145 m² enjoys fantastic interior design in a contemporary style with high quality materials and finishes. The apartment consists of a spacious living room with a nice gas fireplace and views of the street. Next we find the modern kitchen and the service area, which are perfectly equipped with high-end appliances. 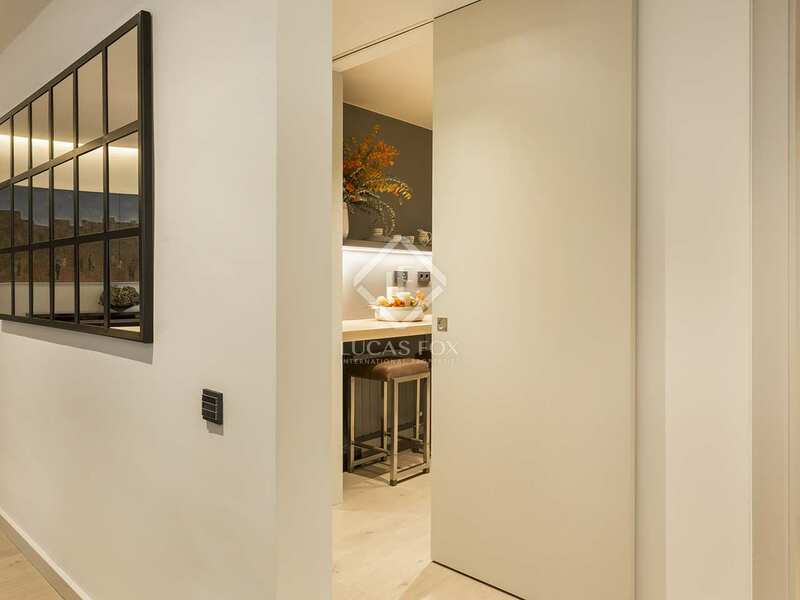 A corridor leads to the first double bedroom, a guest toilet and a second double bedroom with private bathroom. 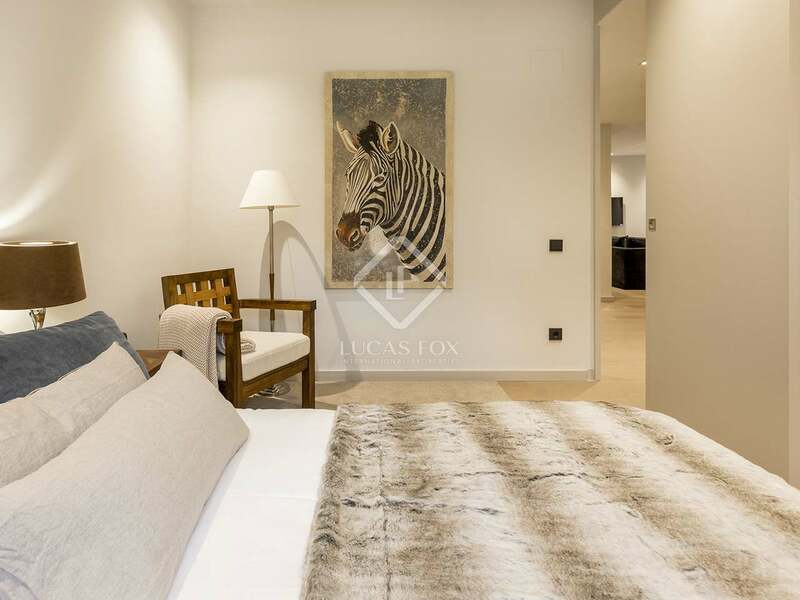 The master bedroom with private bathroom completes this elegant home. 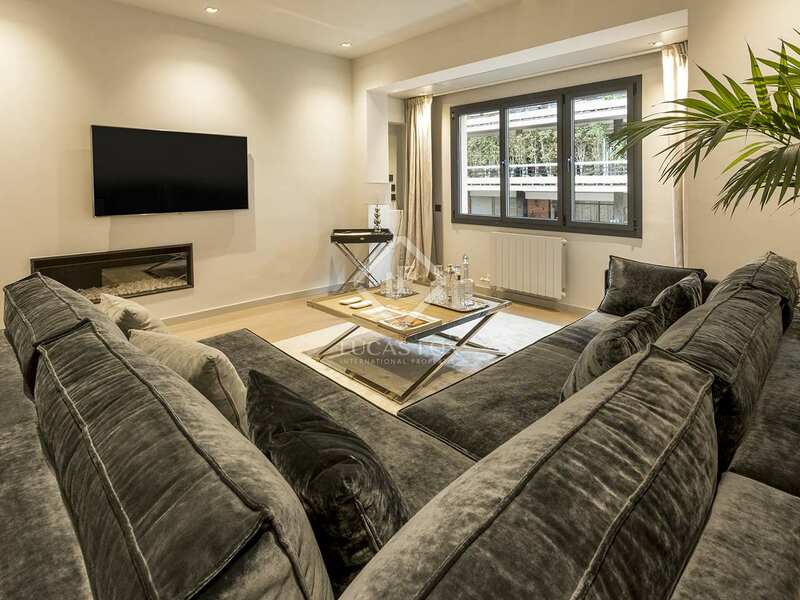 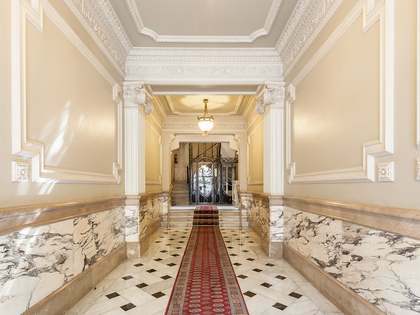 In addition to an impeccable design that has been taken care of down to the smallest detail, the apartment has air conditioning and central heating for maximum comfort. Contact us for more information about this elegant brand new home on Carrer Calvet.